The New Church Temple was built in 1872-73 in a rudimentary decorated Gothic style. The designer was the noted Victorian architect Lloyd Tayler. The builder was Freeman & Co. 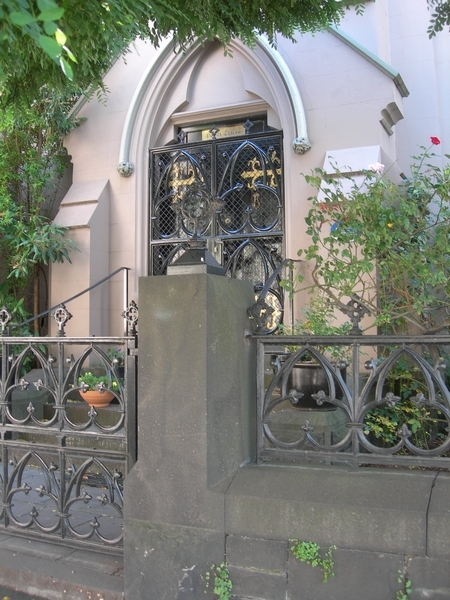 It was the first church erected for the Melbourne Society of the New Church (Church of the New Jerusalem or Swedenborgian). 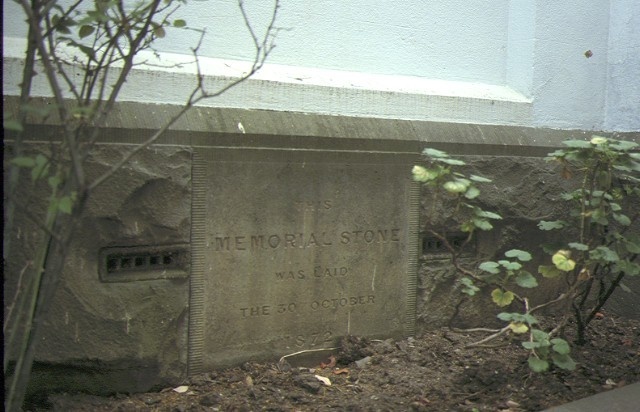 The layout consists of a single nave of rendered brick on exposed bluestone footings. Externally the New Church Temple is divided into four bays by buttresses. The main facade is composed of a Decorated Gothic window flanked directly by buttresses over a projecting porch. The stained timber trussed and lined ceiling, timber frieze and timber panelled dado all survive. The New Church Temple is of historical and architectural significance to the State of Victoria. The New Church Temple is of historic significance as the first permanent church of the Swedenborgians in Victoria, and as one of only two Swedenborgian churches in the State. The New Church Temple is architecturally significant as a rendered and therefore restrained example of church design at a time when more extravagent and elaborate polychrome was more commonly favoured. It is also of significance as an example of the work of the noted architect Lloyd Tayler, who was a designer of both conformist and non-conformist churches and who was also known to be a congregationalist of the New Church. New Temple Church, Albert Street, East Melbourne. The Church of the New Jerusalem arose from the writings of Emmanuel Swedenborg (1688-1772), a Swedish scientist and mystic, who began to experience visions with angels in 1743. He turned to theology and teaching. He taught that there is a correspondence between the external universe and spiritual realities; for example that the sun's heat corresponds to the love and wisdom of God. In England the first Swedenborgian congregation was founded in the 1780s, the same year as the United States. The most important centre is now Pennsylvania. The opening ceremony was held in March 1873. 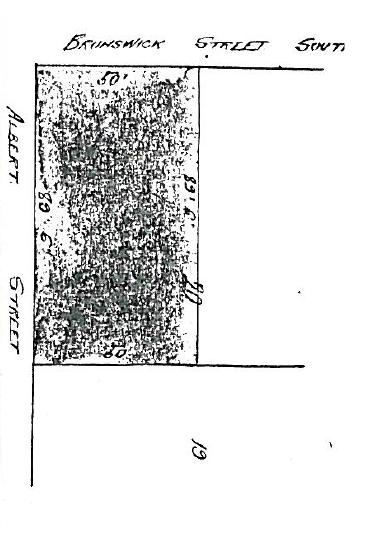 The congregation remained very small rising from only 45 in 1873 to 80 in 1880. The church was sold to the Eye and Ear Hospital in 1962. 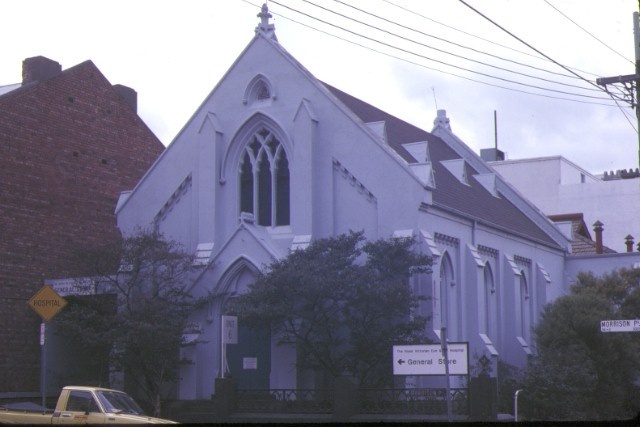 Built in 1872-73, this was the first of two Swedenborgian churches established in Victoria.Designed by architect Lloyd Tayler, the main facade has a Gothic-style window of three lights flanked by buttresses.